Bauska, small town 60 km to south from Latvian capital city Riga, boasts with it's medieval/renaissance castle as well as beautiful natural setting on the coasts of two rivers. But there are a few more tourist attractions worth to see. BAUSKA CASTLE. Bauska castle was originally started to built in 15th Century and construction continued till the end of the 16th century. Nowadays the castle consists of two parts - the ruins of an earlier castle and a later palace. The castle have gone through decades long renovation works which have been finished recently. BAUSKA TOWNHALL BUILDING. The historical landmark of Bauska, Townhall building is a rebuilt as a replica (finished in 2011). The original Townhall building in 17th Century was the largest townhall in whole Kurzeme. In 19th Century it was started to gradually demolish and neglect already in the middle of 19th Century. BAUSKA LUTHERAN CHURCH. The oldest landmark building in Bauska is the Holy Spirit Evangelic Lutheran church which was built in 1594 in Late Gothic style. It was used by town's Baltic German population back then. The original building didn't have a tower which was built a bit later. BAUSKA ST. GEORGE ORTHODOX CHURCH. 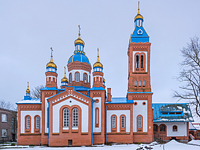 Colorful and unusual looking Orthodox church, built already in 1881, designed by one of the first Latvian architects Janis Fridrihs Baumanis. 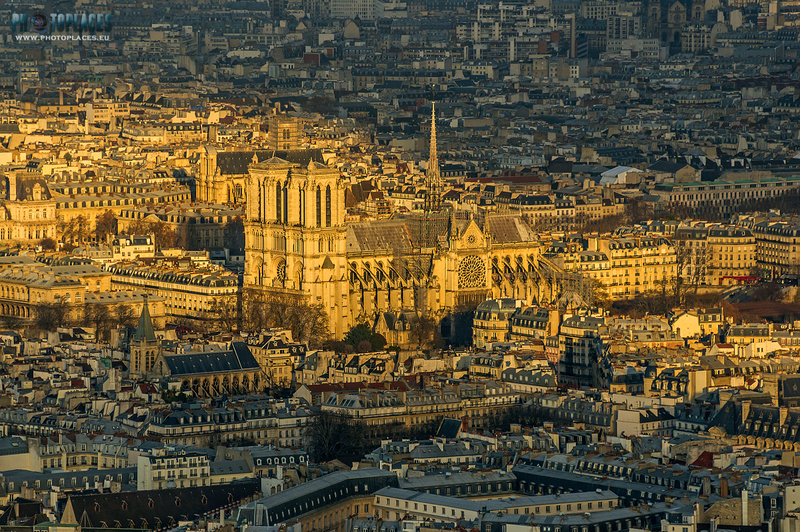 Church cupolas has got golden plates in just recent years, and only in 2016 the church got state protection status as an architectural monument of local importance. TOWNHALL SQUARE. Historical market square has been the main place of the town for public gatherings. Official celebrations, fairs and other kind of events are still organized here. RIGA STREET. The main historical street in Bauska which is around 1 km long and offers both masonry and wooden buildings from 16th to 19th Century. BAUSKA NATURE PARK. Bauska nature park is a beautiful nature area which starts around Bauska castle. There two rivers - Mēmele and Mūsa - flows together, creating Lielupe river. The park offers several beautiful panorama viewpoints and many paths to walk around. VIEW FROM BAUSKA CASTLE TOWER. 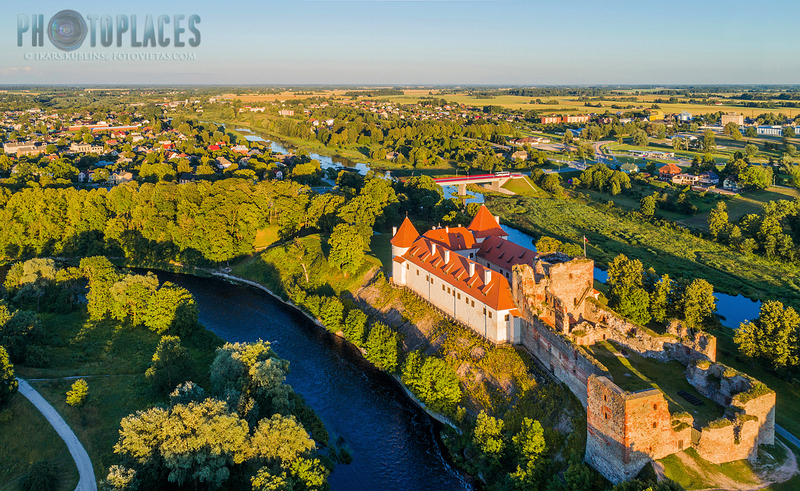 The tower of Bauska castle offers panoramas over surrounding nature park, to rivers Musa and Memele, as well as some rooftops of highest town buildings. VIEW TO MEMELE RIVER FROM BAUSKA HILLFORT. There are several nice view points but probably the best one is located right next to the castle, offering great sight to Mēmele river bend. VIEW TO MUSA RIVER FROM BAUSKA HILLFORT. On the other side of narrow peninsula, again right next to Bauska castle, there is a great vantage point to Mūsa river.